Today the Bureau of Labor and Statistics (BLS) reported that the unemployment rate for post-9/11 veterans* decreased from 5.0 percent in September 2015 to 4.6 percent in October 2015. Among all veterans, unemployment rates decreased from 4.3 percent in September 2015 to 3.9 percent in October 2015. The national unemployment rate remained essentially unchanged at 5.0 percent in October. As Veterans Day approaches, our nation prepares to once again recognize the importance of investing in the success of veterans. This week, several events focused on the importance of veterans’ employment initiatives turning from hiring to long-term retention and career growth. On Tuesday, Microsoft hosted a panel of academics and experts in Washington, DC for their event More than a Job: A Frank Conversation on Transitioning Service Members to Promising Careers. 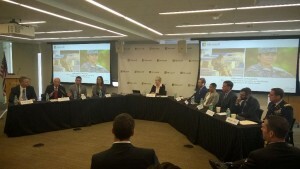 During this discussion, panelists highlighted the unique opportunity the IT industry holds for the newest generation of veterans. Many IT companies are having difficulty filling specialized roles and veterans have an opportunity to train specifically for these roles through programs like the Microsoft Software & Systems Academy (MSSA). These programs provide mentoring, ongoing training and a promising industry for career growth, especially for women veterans and military spouses, as more IT companies seek to shift the gender balance in the tech industry. The Congressional Veterans Jobs Caucus also held a briefing this week on the role of community partners in reducing veterans’ unemployment. However, rather than just focusing on veterans securing employment, panelists emphasized the importance of maintaining veteran employment through community-based initiatives focused on retention. As the drawdown of our troops continues, more veterans will enter the civilian workforce and issues of employment and economic success will be at the forefront. To ensure that our service members transition successfully from military to civilian life, our national conversation must continue to shift from hiring practices to providing broader support systems for veterans and military families in the workforce. 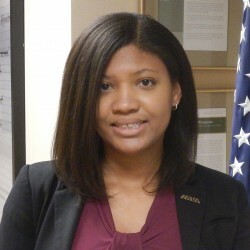 For more suggestions on how the public, private and non-profit sectors can work together to strengthen support for veterans in the workplace, please see IAVA’s 2015 Policy Agenda. To join an IAVA Veterans Day celebration in your area, click here. For veterans who are facing hardship due to being underemployed or unemployed, we encourage you to contact our Rapid Response Referral (RRRP) team to get connected with resources to help you. Contact us directly by calling the toll free number: 855-91-RAPID (855-917-2743) or emailing transition@iava.org.